Let's start our Milwaukee String Trimmer Review by discussing the origin of "Weed Eaters". Why use heavy metal blades or shears to trim grass when the task can be handled by a simple piece of nylon string? This was part of the logic behind the invention of the original string trimmer in the 1970s. Designed by George Ballas of Texas, the original version, called the "Weed Eater," used a fishing line and popcorn-can attached to a regular edger! His invention revolutionized the way we handle lawn care and landscaping (and made him a fortune in the process). We have come a long way since the original "Weed Eater". Among the best string trimmers currently on the market, you'll find gas, electric, and even propane-powered varieties. They use tough nylon strings for that cutting edge. 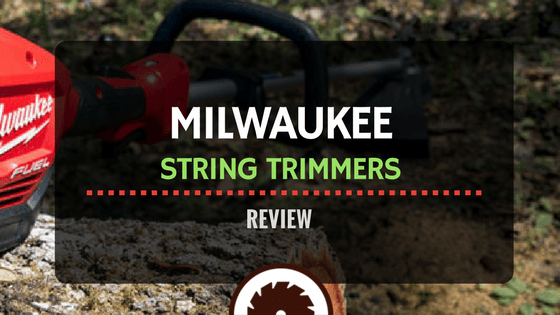 In this review, we will be looking at two electric string trimmers from the premium brand Milwaukee. Currently owned by the Techtronic Industries, the Milwaukee Tool Corp was a Wisconsin based company, established all the way back in 1924. The M18 FUEL line is their first attempt at manufacturing electric cordless string trimmers. Part of the M18 FUEL Family of Power Tools: This Milwaukee M18 FUEL string trimmer is the first outdoor power tool unveiled as part of the well established M18 family. There are over 125 power tools belonging to this range from Milwaukee. And they all share the same power platform, using the M18 REDLITHIUM power system. Tools in this family can share the same battery packs and charging systems. So if you have one REDLITHIUM system, you can use it with any of the M18 power tools. Bump Feed System: With regular use, the strings in the trimmer get thinner, frayed and eroded. String trimmers usually store the nylon strings as a spool inside their heads. With the bump feed knob on the head, you don't have to open the trimmer head to extend the string. This function can be activated even while the trimmer is working by pressing bump knob onto the ground. This reduces time wastage and helps get the job done faster. POWERSTATE Brushless Motor: Energy efficiency is a key factor most all power tools, especially those of the cordless, battery operated variety. The brushless motor is an automatic choice due to its low energy consumption and high power output. It also has a longer life than other motor designs. REDLINK PLUS System: this system connects the tool to the removable battery and charger. An advanced onboard chip monitors and maintains the flow of power in the tool, to ensure maximum safety and performance. Variable Speed Trigger: The string trimmer has two different speed settings for optimal handling of different grass thickness and power requirements. The high speed and low-speed settings can be smoothly selected using the variable speed trigger system. The high speed is best for thicker grass, while low speed offers more running time. Full Sized Head: With a 16" long line, the trimmer can remove large swathes of grass in less time. Performance: For a first time attempt at designing a cordless string trimmer, the Milwaukee offers impressive performance. It is fast right out of the blocks, reaching peak speeds within a second or so. With the large head and long string, you can clear a lot of grass in a short period. This is a feature packed device that handles both professional as well as simple home user tasks. And since it is cordless, you don't have to bother about extension cords. The trigger system is easy to use and offer a decent amount of versatility. With the M18 power system and battery pack, you can easily get more than an hours worth of runtime on a single charge. Forgiveness: The Milwaukee is quite lightweight at under 10 lbs and easy to handle. Being on the longer side, even people as tall as 6 feet can comfortably wield it while standing without having to bend forward. It is quite safe to use, and with the bump feed system, you don't have to open it up every hour to change the string. Build Quality: The Milwaukee looks quite robust and well put together. The design is modern and modular since it is part of an established power tool platform. The brushless motor also ensures that this power tool will last a long time. Look & Feel: The Milwaukee looks like a proper professional grade power tool. It is well balanced and feels quite durable.e. PriceIt is not exactly the cheapest electric cordless string trimmer. But it is not the most expensive either. But that is mainly down to the fact that this particular model ships without a battery or charger pack. Conclusion: The Milwaukee tool M18 FUEL 2725 20 is a well-crafted machine, fit for professional use. It is a great option if you have a lot of grass to trim in your backyard. It offers premium performance and durability, but obviously at a premium price point. If you can afford the price, it is a tool that will last a long time. Part of the M18 FUEL Family of Power Tools: like the other string trimmer reviewed here, the 2725-21HD is also part of the M18 family of power tools from Milwaukee. All the 125+ tools in that family share the same 18-volt battery and charging system. This means that if you have one REDLITHIUM Power System, you can charge and use all these tools, not simultaneously of course! The 21HD M18 shares most of the features with its sibling, the 20 M18. REDLITHIUM Power System: This string trimmer is available as a "kit," meaning it comes with an added battery and fast charger combo. This combo is called the REDLITHIUM power system by Milwaukee, and it can power any power tool from the M18 FUEL family. Though it is quite expensive, if you plan to use Milwaukee Power Tools, it is a worthwhile investment. You don't have to buy a charger and battery pack with each power tool then. POWERSTATE Brushless Motor: This ensures improved longevity to the motor, and longer run times with the lithium ion battery. REDLINK PLUS System: Milwaukee has developed this microchip based system to improve the safety and efficiency of their M18 range of power tools. The chip monitors the circuit between the tool and the battery pack/charger, to ensure maximum efficiency and power output. Variable Speed Trigger: This string trimmer supports two-speed settings. High is for thicker grass, while Low is better for longer runtimes as it is less energy intensive. The trigger function allows the user to shift between both settings seamlessly. Full Sized Head: The large sized head supports a cutting swathe of between 14 – 16 inches. The head also accommodates a bump feed system for the string. Performance: The performance of the 21HD M18 is almost identical to the 20 M18 from Milwaukee since both have similar motors, heads and power systems. As this is a cordless, battery powered string trimmer, you can use it pretty much anywhere in your yard or lawn, without having to worry about power outlets or extension cords. Forgiveness: This string trimmer is slightly longer and heavier than the 20 M18. Some people might prefer the 20 M18 which is around 3lbs lighter than the 21HD M18. But the 21HD is also longer by about three inches, making it a more ergonomically comfortable option for taller users than its sibling. Other than the changes in dimensions, both share the same safety features and are quite user-friendly. Build Quality: This is a high-quality gold-grade power tool from Milwaukee. There are virtually no faults to highlight regarding the fit, finish, or quality of parts used. Look & Feel: This Milwaukee looks compact and professional, swathed in shades of red and black. It does look like a premium quality product. Price: As it is a premium model, it can be quite an expensive proposition in the string trimmer niche. But on the plus side, you get a complete kit, with the REDLITHIUM Power system. So if you plan to buy any other power tools in the M18 range, this string trimmer might be a good choice. After this, you can safely buy the "tool only" versions of M18 products and save some cash in the process. Conclusion: The 2725-21HD is a well-built machine. It is ideal for landscaping professionals as well as home users with large yards and lawns. 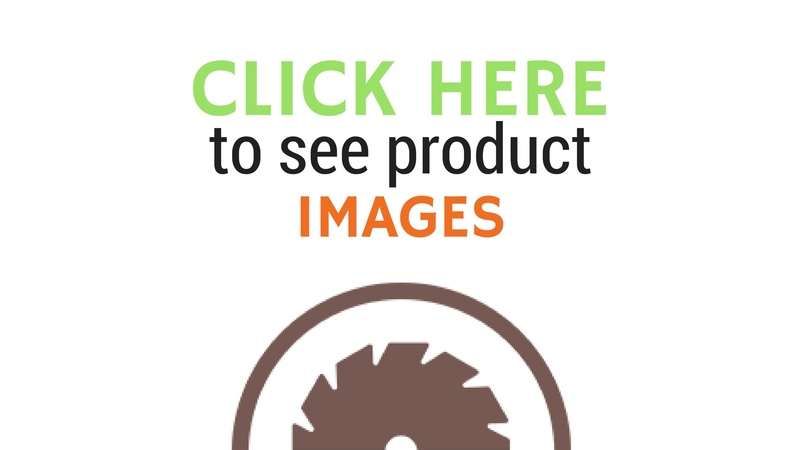 If you can afford the Milwaukee string trimmer price, it is an excellent power tool in all departments, powerful, efficient and exceedingly durable as well. The 21HD M18 is slightly longer, at 73.6" as opposed to 70.6" for the 20 M18. The 20 M18 is around 3 lbs lighter than the 21HD M18. The main difference lies in the way they are packaged and priced. The 21HD M18 is sold as a complete kit, with an REDLITHIUM 9.0 battery pack and M18 rapid charger. The 20 M18 is available as a tool-only package, and it lacks the battery pack or charging system, which you will have to buy separately. Thanks to the inclusion of the battery pack and charger, the 21HD M18 is more expensive. So, which one should you buy, an​​​​d why? The 2725-20 M18 is the best choice if you already have another M18 power tool from Milwaukee, along with its REDLITHIUM power system. You can use that M18 battery pack and charger on the 20 M18 string trimmer as well. There's also the 2725-20 Trimmer + Blower + Battery + Charger Combo Version. The 2725-21HD M18 is the one for you if you don't already own another M18 power tool and the REDLITHIUM power system. Once you buy it, you stand to save some cash by choosing other Milwaukee M18 power tools, as you no longer need to pay extra for battery packs and chargers. The M18 "tool only" packages are sold at reduced prices when compared to their "full kit" versions. Regarding pricing alone, virtually any other brand will be much, much cheaper than a Milwaukee model, especially one from the M18 FUEL line. So a clear comparison on pricing and value for money is rather difficult, as the Milwaukee is considered one of the best pro-grade brand for power tools out there. The Worx WG155 operates at 20V and comes with a lithium ion battery and charger. The entire package is much cheaper than the tool only package from Milwaukee. But the cutting swathe of the Worx trimmer is much smaller, and it will not be as durable as the Milwaukee. It does have some nice features like automatic line feeding, adjustable trimmer head, and tool-less conversion. The Worx may be a better option for those who have smaller lawns and need an affordable entry level trimmer. The Milwaukee M18 is for pros and those who have large gardens and want the best tool their money can buy. The Black + Decker is another affordable option for home users who need a string trimmer for their lawns or backyard. It comes with an option for either one 3 Ah battery or two 1.5 Ah batteries, and charger is provided along with the package, for a very affordable price. The 20-volt system has enough power to handle most trimming tasks. The easy-feed system is better than the bump feed system in real world usage. And the LSTE523 also gets dual speed controls, adjustable height, good ergonomics, and a cutting swathe of 12 inches. It may be a solid option for homeowners who need an affordable yet feature packed trimmer. The Milwaukee M18 is more durable and has pro-grade equipment written all over it. If that's what you want, then the Black + Decker is no competition at all. The DeWalt is a more direct competitor to the Milwaukee in the pro tools arena. And regarding pricing as well, it is the one that gets the closest to the M18 pricing. Still, it is considerably cheaper than the full kit version of M18. It has a smaller cutting swathe at 13 inches, but boasts of a brushless motor, variable trigger, and bump feed. Regarding actual performance, it will be slightly slower than the Milwaukee, but not by much. And it is a good option if you want a decent pro-grade trimmer with the battery and charger at a lower price than Milwaukee. But regarding quality and durability, Milwaukee may hold a clear edge. But whether that is worth the extra dollars is a different question. If you are a Milwaukee enthusiast and plan to buy more tools of the M18 range, then you may want to stick with the Milwaukee 18v fuel brushless string trimmer. Otherwise, the DeWalt is a viable alternative at a lower price.